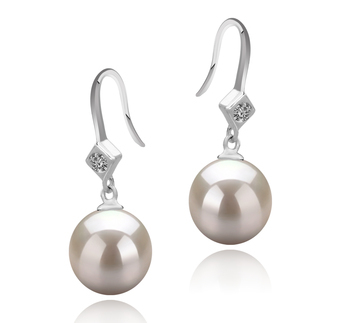 Timeless, elegant and an indication of times gone past these Ethel White Freshwater 8-9mm fishhook style pearl earrings are never going to go out of style. 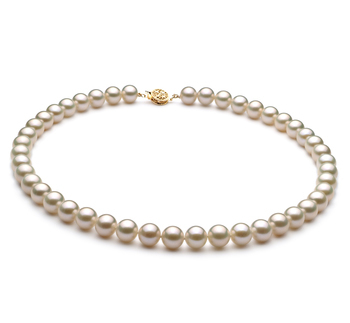 The combination of the sterling silver and white AAAA grade pearls really is the epitome of classic pearl jewelry. 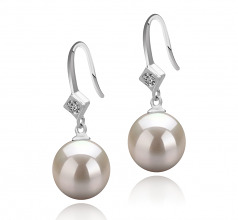 The simplicity of their round shape and high-quality luster creates a very unique and dazzling pair of earrings. 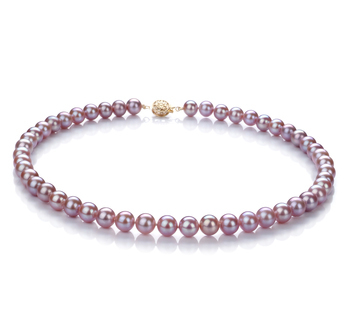 The addition of the sterling silver fishhook at the bottom of which sits 2 gemstones and just above the pearl complete this pairs secure, safe and comfortable fit. 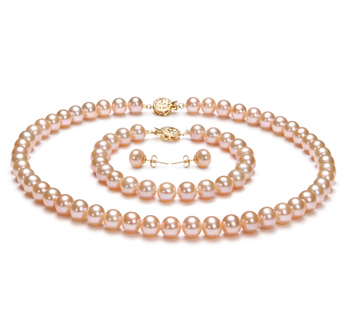 The use of even AAAA grade white Freshwater pearls in the designs provides you with a very versatile piece of jewelry. These are earrings that won’t look out of place when you wear them with a casual outfit when going for brunch with your girlfriends or when teamed with a sparkly dress for a night out on the town. Show only for "Ethel Earring Set"